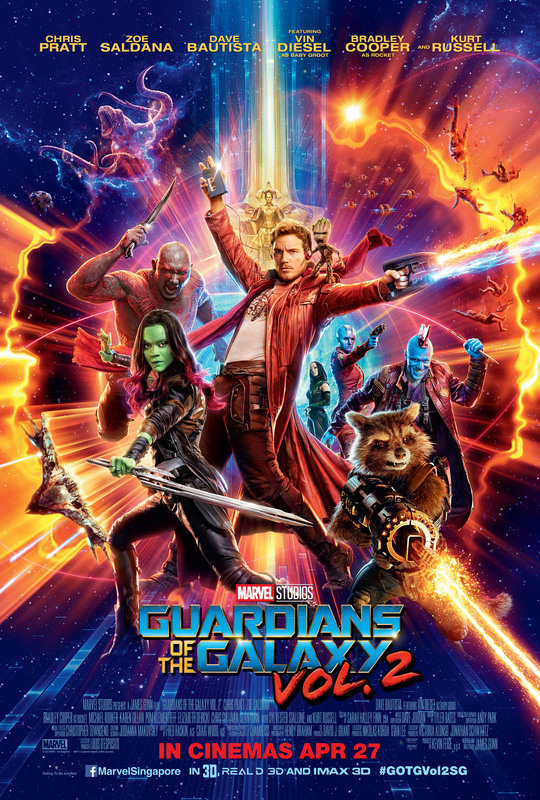 Synopsis: Whilst on an assignment for an alien race called the Sovereign, after the deal goes awry, the Guardians find themselves on the run, when they encounter a man who is claiming to be Star Lord’s father. Review: It is fair to say that Marvel Studios certainly rolled the dice and took a big risk when they decided to green-light a full feature film about a crew of heroes that the vast majority of movie goers across the globe had no idea who they were. 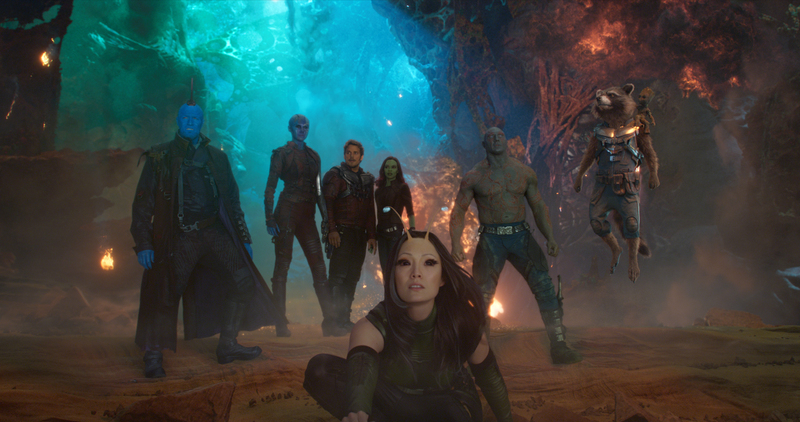 Many thought that this film would be the studio’s first mishap, and well we all know that simply wasn’t the case as the first film smashed all expectations and ensured that everyone knew their names, and rightly so, the Guardians became hot property. Now well into Phase 3 of the giant Marvel machine, it was inevitable that our favourite bunch of lovable arseholes would get a new adventure. The first film was such a mystery, audiences had no idea what to expect going in. Thus given that so many loved what they saw the first time around, writer and director James Gunn decides to follow a similar route this time around, allowing these characters that we grew to love and laugh at, to develop their relationships. What’s more, they have some familial issues and any familial squabbling issues that may be brewing beneath the surface, and there’s a LOT of that going on this time. Though there’s some bickering, Gunn’s script packs humour in abundance. It has become almost a trademark of the MCU to this point but, this might just be the funniest film of the franchise to date. Everyone has their moment to shine, but in the case of some characters they get several moments to shine, looking at you Drax the Destroyer! Much like the first film, there’s a plethora of very memorable lines that will get those laughing muscles moving, and the story for the first act is extremely enthralling. The Guardians are all once again on excellent form, with the villainous Nebula given much more to do this time around, oh and yes Baby Groot is perhaps the most adorable little sentient plant being you’re maybe ever going to find on the silver screen. Visually the film is just dripping with so much colour it’s wonderful to look at, and it packs some tremendous action scenes to accompany the superb visuals. Which in turn is also helped by the ensemble of music that makes up Awesome Mix Vol 2, which is just as catchy as its predecessor. However, that being said, not everything is nice to look at as there are points where it becomes extremely obvious that there’s a lot of CGI on screen. The villain was the thing that really let the first film down, and sadly yet again, the main villain (fear not no spoilers here!) 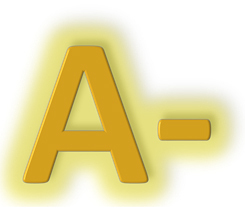 is still something of a disappointment. This individual in question is not as disposable as some previous MCU villains, but nowhere near as memorable as say Loki. Their motivations being a little perplexing, and once their intentions are known, the film meanders and goes from the sublime to the truly ridiculous, which given that this is a film with a talking tree and a genetically engineered raccoon, is quite an accomplishment! But yet again it does feel like a missed opportunity for Marvel to rectify the difficulties that they have had in bringing a truly compelling villain to the big screen, save for the God of Mischief of course. Nevertheless, this sequel is a worthy companion piece to the original film, once its characters are front and centre. Choosing to walk a similar path that the first film went might seem boring and unadventurous to some, but when it is this entertaining and absolutely hilarious to watch, you can hardly blame Gunn and Marvel for sticking to what they know, cos that produced the goods the first time around. This band of lovable misfits certainly remain an absolute blast of marvellous entertainment. Not quite as enthralling as its predecessor, but this sequel packs the humour, the exhilarating action sequences, and yes another awesome soundtrack to boot. Found the film to be very funny and a nice character piece. The plot’s naff but there’s much to love.